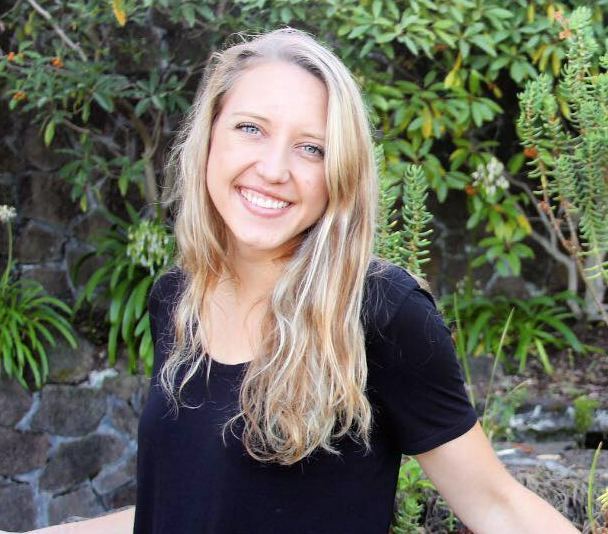 The Palo Alto-based beauty Sarah Lipps is young (mid-twenties! ), uber healthy, and incredibly business oriented - having founded the successful health shop Bare Bowls. Sarah is as calm as a cucumber, but don't underestimate her determination. She is motivated, and she gets things done. Well. Sarah has been interested in health, fitness, and well-being as long as she can remember. It's no wonder, therefore, why her two acai-bowl cafes are not only successful, but thriving. Acai is a plump, dark purple berry harvested from acai palm trees in the rainforests of South America. 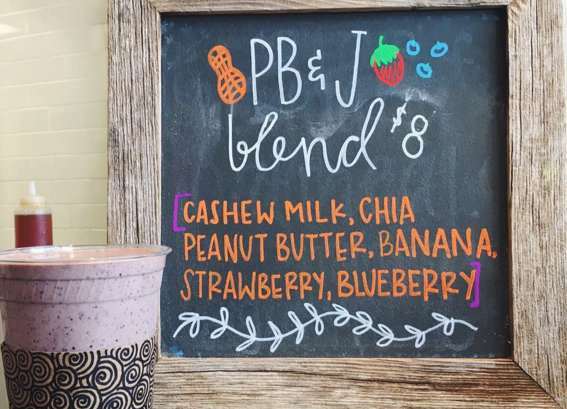 At BARE, they blend pure, unsweetened acai berry pulp with other fruits, add-ins like handcrafted almond butter, kale, chia seeds or cacao powder, and homemade nut milks to create a thick smoothie-like base. They top the base with local granola, fresh fruit, a drizzle of honey, and depending on the bowl – roasted almonds, hemp seeds, bee pollen, or cacao nibs. Sarah shares her business tips, health philosophy, and favorite Bible verses with M&H. Presenting Sarah - founder and owner of Bare Bowls! What inspired you to start your own acai bowl cafe? A few years back, I became increasing frustrated about the food industries lack of transparency in restaurants and advertising in grocery stores—especially when items are marketed falsely or misleading. I could eat acai bowls every day, to start off! 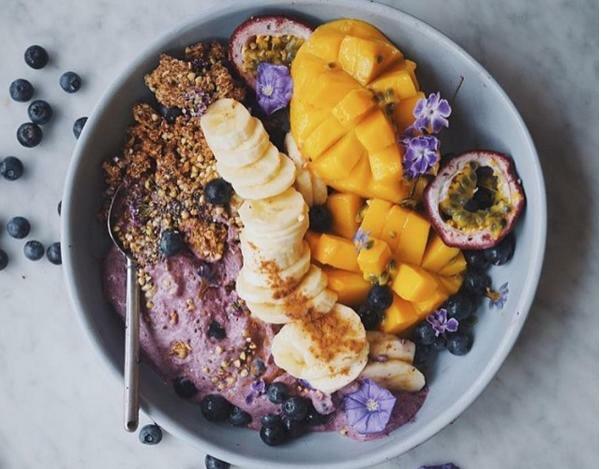 I love acai bowls because they are substantial—they are healthy, tasty and nutritious as a snack or meal. We are all about real food and real food ingredients—not calories or specific diets. It’s ACAI-UMMM (awesome!) when people say that they feel great after eating at BARE and don’t have to sacrifice taste for nutrition. My first acai bowl in North Shore Hawaii was one of the things that started Breakfast Criminals. It was SO GOOD. What was your first acai bowl experience? Your favorite acai bowl toppings? 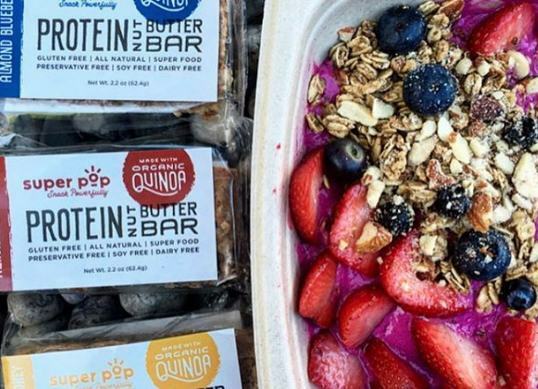 Key to the perfect acai bowl? Texture! I love thick and creamy acai bowls. Also not too sweet ;) Fruit is nature’s candy- I love bowls made with homemade nut milk compared to fruit juice. A final note would be granola quality—granola can range from unhealthy to hand crafted and pure—I’m sure you can guess which I would choose! 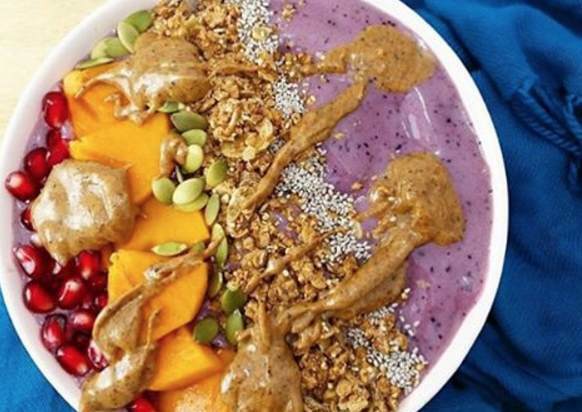 How do you approach acai bowls in the colder winter months? Having only been open for one winter, we are still learning and experimenting! Last winter, we added oatmeal to our menu—we made several dessert-inspired combinations – banana bread, pumpkin, almond butter, apple pie! We used our store made nut milks and almond butter in most of the recipes, which made them incredible. I have tried a lot of food trends and I feel best when I simply have no restriction or label to what I eat. (except for meat, which I have never really had a preference for) In general, I eat unprocessed, whole foods – my staples include whole grains, veggies, fruit, nuts, seeds, beans, and I love greek yogurt. Other foods and sweets don’t generally appeal to me, but if I am craving something, I’ll eat it! I love experimenting with recipes to make healthy versions of all sorts of meals and desserts. What did you do before Bare bowls? I graduated in 2013 and shortly after moved home to the Bay Area. Not finding the same health food stores and cafes that I was used to around Southern CA, I wondered how a place like Palo Alto did not have anything similar. I had a one-way ticket to New Zealand planned for that December BUT I felt that the opportunity for BARE Bowls would not exist when I came back – that it was more important to take hold of the being a first mover in the area and hopefully still travel one day! BARE really got momentum in April of 2014 after finding an actual location. It reminds me to be present with people- how my actions and words can affect them. The present gives me perspective—the ability to see mistakes as learning experiences and see issues or problems that come about as opportunities to grow and change. This quote is what encourages me to wake up extra early on a long and busy day and drink my coffee slowly with no rush and no place to be (quite yet). To spend time with friends and family and to continually pursue the things I love doing. When work is tiring or stressful, I am reminded to be thankful for the opportunity to both work and pursue something that I am 100% passionate about. Typical might include being at one of the stores, doing payroll, lots of emailing, working on new marketing initiatives, calling the plumber, paying invoices, or one of my favorite things, finding new products that are not readily available in the area that totally should be! Every day is new. There is no typical for me which keeps me going. I have a running to do list that I try to knock out every single morning. The morning is when I work best so if it doesn’t happen then, it normally will be the next day. I also try to keep a work life balance which other than being completely inefficient, another reason I do not work at night. How important is health/nutrition to you? I also enjoy Galatians 5:13-26 and Psalm 119! You do not have to have a perfect plan. Do something you are insanely passionate about and meaningful for you that also fills a need in the market. It’s okay to learn as you go, too. Check out the BareBowls Instagram!